Cartoon Network has informed The World’s Finest that Batman: The Brave and The Bold will now premiere on Friday, November 14th, 2008 at 8pm (ET). 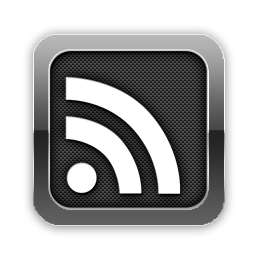 The series was originally scheduled to premiere on that same date at 7:30pm (ET), but the network has moved the episode back thirty minutes. 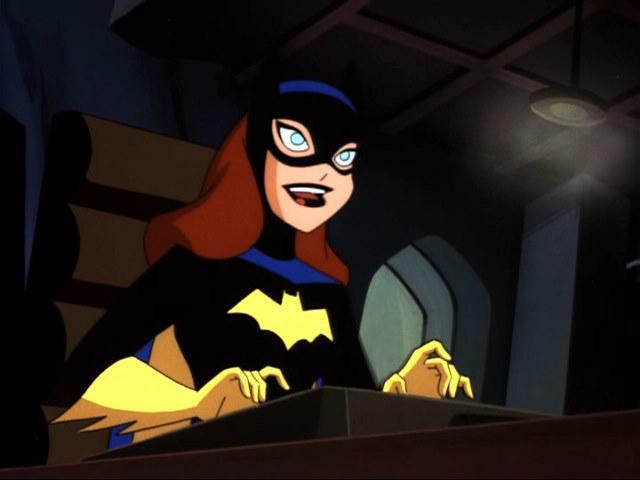 The first episode of Batman: The Brave and The Bold, called “The Rise of the Beetle,” will premiere on November 14th, 2008, with new episodes to follow every Friday at the 8pm (ET) timeslot on Cartoon Network. In related news, DC Comics has recently released the cover art for the first issue of the upcoming Batman: The Brave and The Bold spin-off comic book. 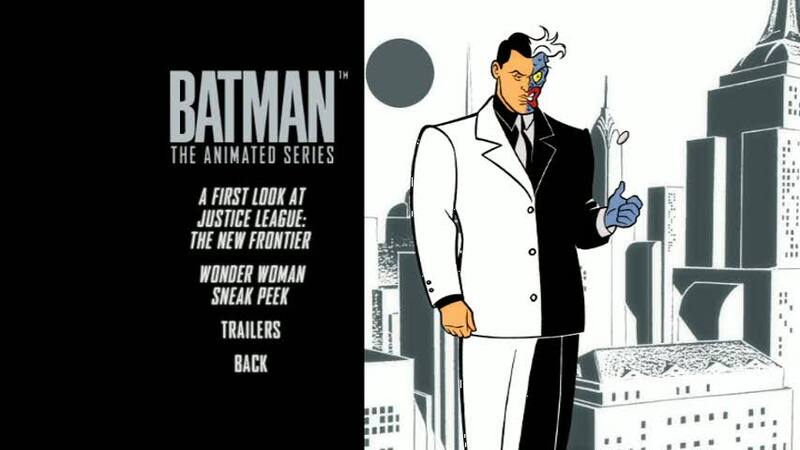 The first issue of Batman: The Brave and The Bold, the comic series will share the same name with the animated series, is scheduled to be released in January 2008. Further information on the comic is available below. Jumping out of your TV and into your comics comes the highly anticipated new cartoon Batman: The Brave and The Bold! Each month, The Dark Knight Detective faces challenges that only he can solve with a little help from his DC Universe pals! Thrill as Batman visits new places and old friends. Chill as he chases down the most powerful villains in the DCU, armed with only his Bat-gadgets and his wits! In this awesome first issue, show writer Matt Wayne (Justice League, Ben 10: Alien Force) joins forces with Andy Suriano and Dan Davis to bring you “The Panic of the Composite Creature,” a tale of terror and adventure! All this action plus Batman’s secret files await you each and every month. So hang on to your seats, and get ready for the read of your life! On Sale January 28th, 2009. 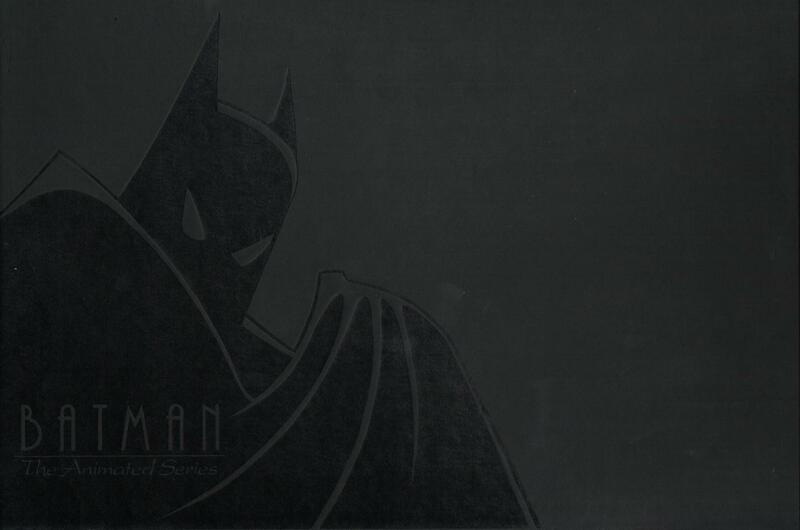 To view exclusive images of the packaging for the Batman: The Complete Animated Series box set release, click on the thumbnails below. 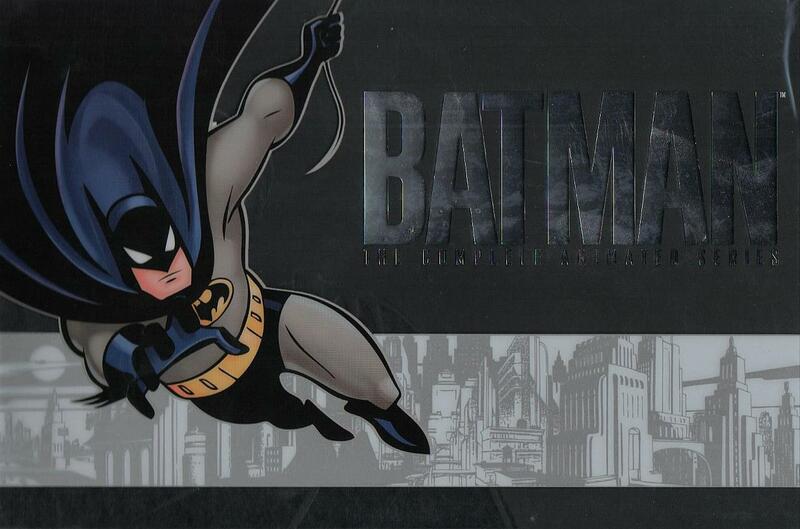 Click here for further packaging shots and to read a review of the Batman: The Complete Animated Series release. 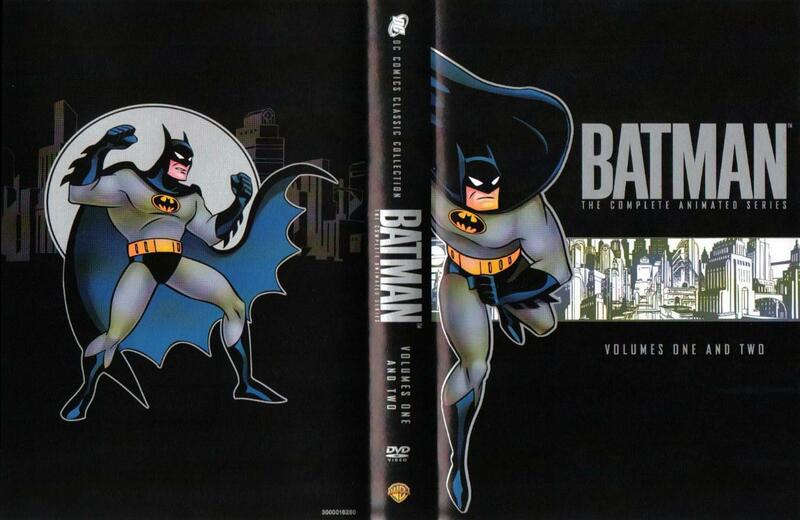 The Batman: The Complete Animated Series DVD box set, collecting the entire animated series into one collection, is set to hit shelves on November 4th, 2008. 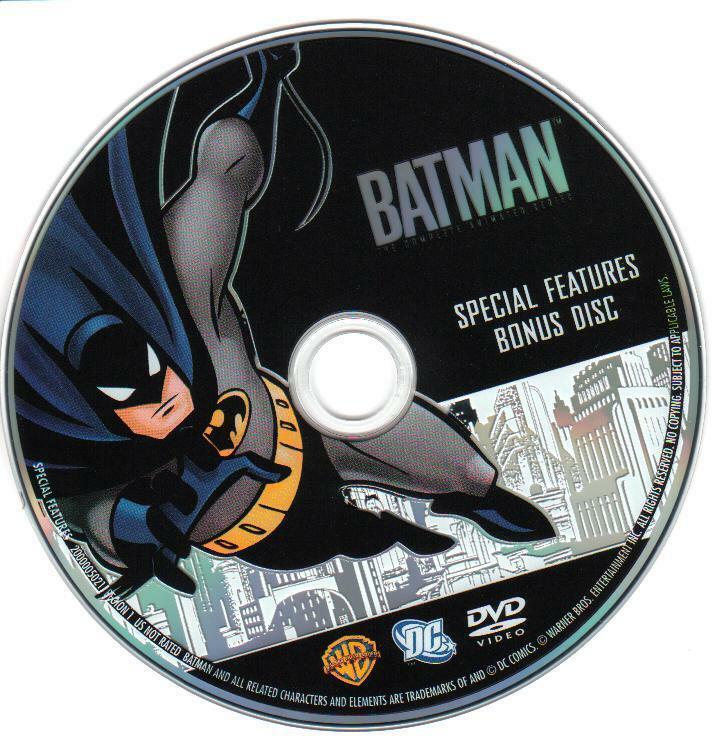 There is currently no word on a Blu-ray release for Batman: The Animated Series, but Warner Home Video is actively looking into the possibility of releasing the series on Blu-ray in the future. Warner Bros. Animation and Cartoon Network have issued an abbreviated list of characters that will be appearing on Batman: The Brave and The Bold. The list can be seen below. Expect Warner Bros. Animation and Cartoon Network to issue a new character listing as the program airs. Cartoon Network has also released a new press interview with Batman: The Brave and The Bold production staff James Tucker, Andrea Romano, Sam Register. 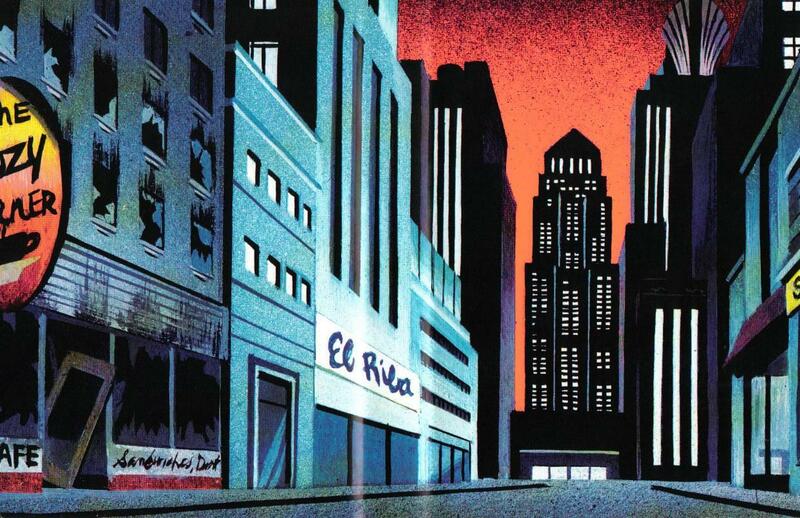 The interview is available here at our Batman: The Brave and The Bold subsite. Batman: The Brave and The Bold is set to premiere on November 14th, 2008, at 7:30pm (ET) with an episode featuring Green Arrow and the Blue Beetle. Cartoon Network has provided information on the November-airing episodes of Batman: The Brave and The Bold. The first episode, “The Rise of the Blue Beetle!,” is written by Michael Jelenic and directed by Ben Jones. Batman and Blue Beetle team up to save an alien race from Kanjar Ro. This episode will repeat on Saturday, Nov. 15th, 2008, at 11:30am (ET). After that, the episode “Terror on Dinosaur Island!” is scheduled for Nov. 21st, 2008. Written by Steven Melching and directed by Brandon Vietti, Batman and Plastic Man thwart Gorilla Grodd’s plot to devolve humans into primates. This episode will repeat on Saturday, Nov. 22nd, 2008, at 11:30am (ET). The episode “Evil Under the Sea!” is scheduled for Nov. 28th, 2008. Written by Joseph Kuhr and directed by Michael Chang, Batman aids Aquaman as Ocean Master and Black Manta team up to assassinate him. This episode will repeat on Saturday, Nov. 29th, 2008, at 11:30am (ET). 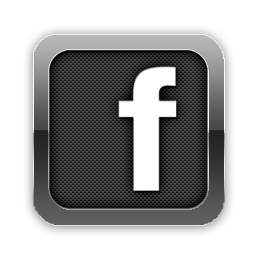 Click on the thumbnails below to view the images. 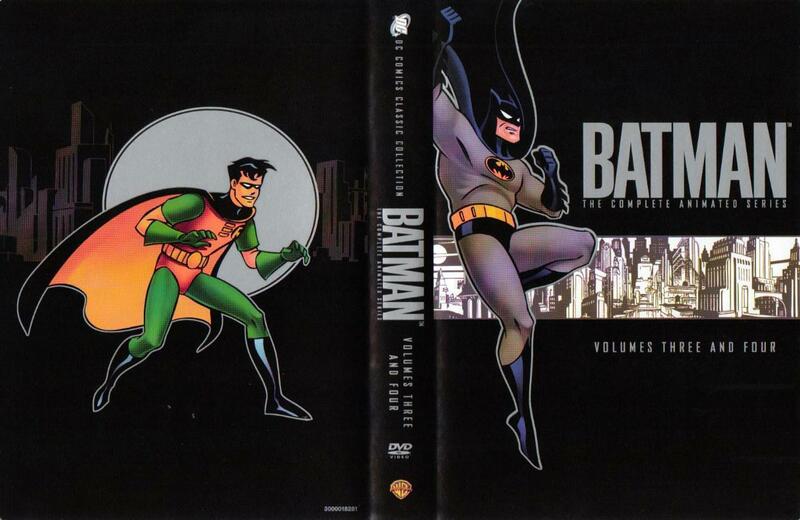 The Batman: The Complete Animated Series DVD box set, collecting the entire animated series into one collection, is set to hit shelves on November 4th, 2008. 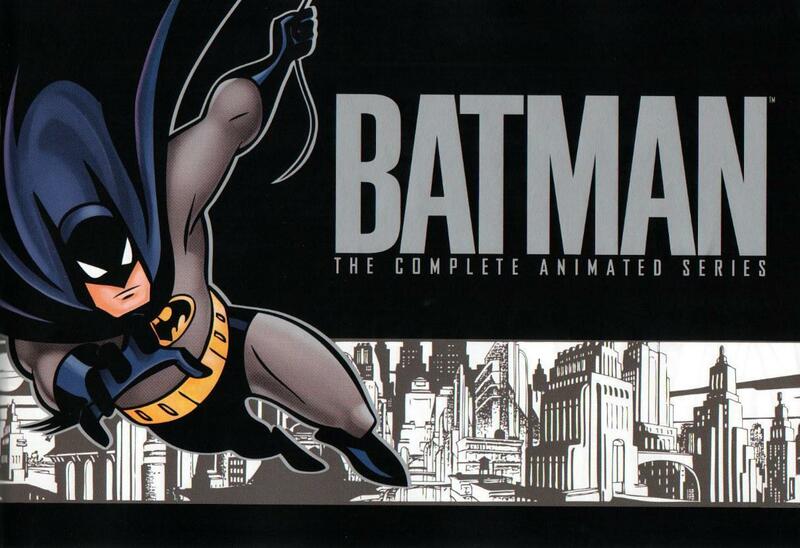 There is currently no word on a Blu-ray release for Batman: The Animated Series, but Warner Home Video is looking into the possibility of releasing the series on Blu-ray in the future. 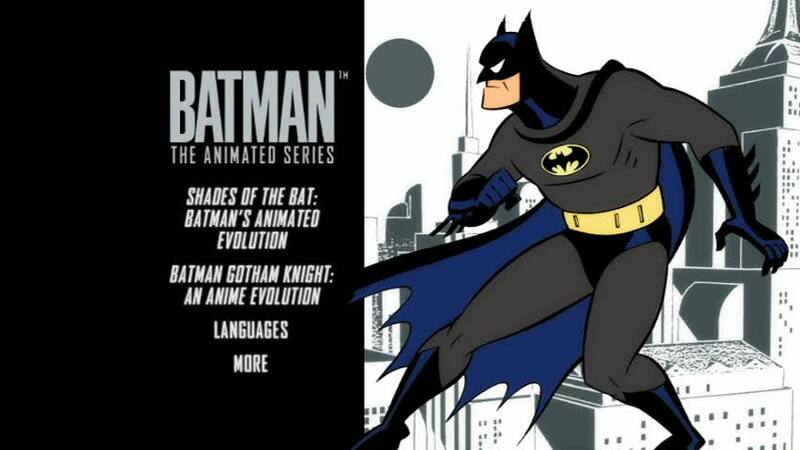 Teletoon, the Canadian animation station, plans to air a preview of the upcoming Batman: The Brave and The Bold animated series in November 2008. 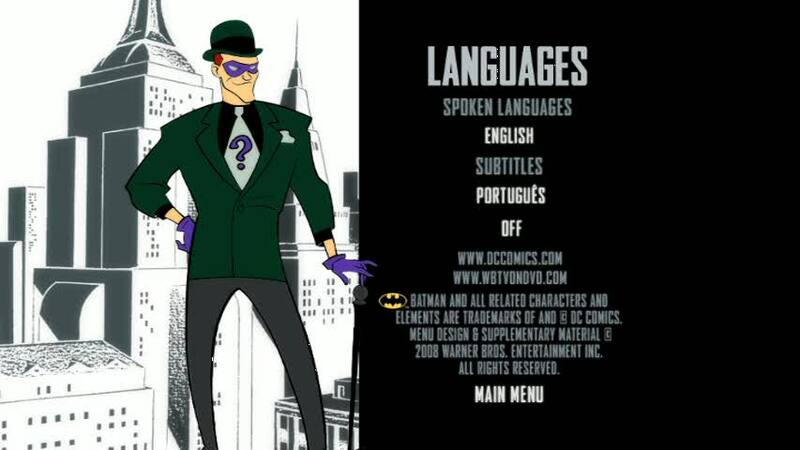 A sneak-peek of the new series Batman: The Brave and The Bold airs on Friday, November 14th, 2008, at 5:30 pm (ET/PT). Teletoon viewers will get a sneak-peek of new series which features Batman teaming up to fight crime with heroes from across the DC Universe including Blue Beetle, Green Arrow and Aquaman. 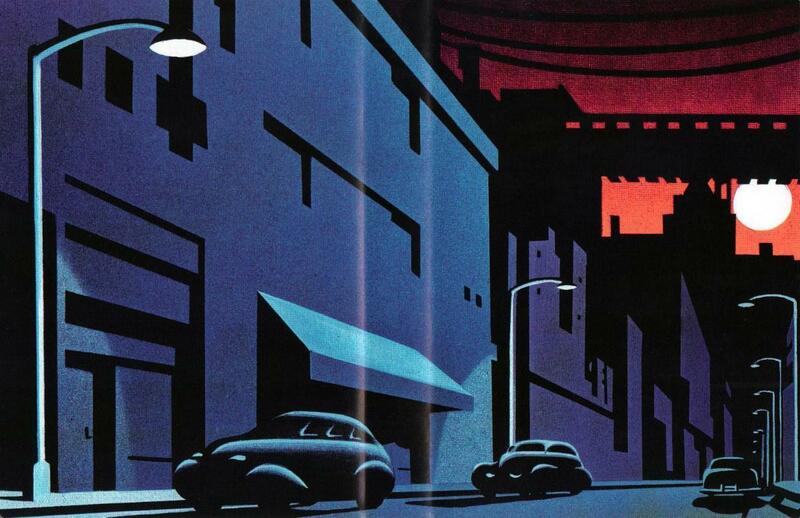 The preview will air after an encore presentation of The Batman Versus Dracula: The Animated Movie. Stay tuned for further Batman: The Brave and The Bold updates, including exclusive interviews, images, reviews, and more! 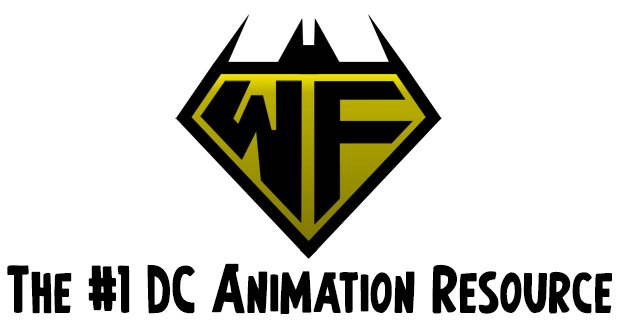 For more information, please swing by the new Batman: The Brave and The Bold subsite here at The World’s Finest! 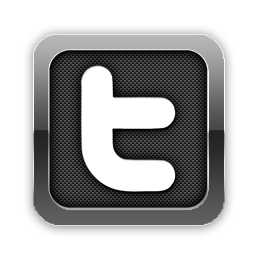 Note: The World’s Finest would also like to send our thanks to all those who provided support in our time of need. Thank you!